Unifor President Jerry Dias has repeatedly identified the Brampton plant as the factory most in need of investment. Canadian union Unifor today selected Fiat Chrysler Automobiles as its next target in negotiations with the Detroit 3. Unifor said in a statement that negotiations will begin if its tentative deal with General Motors is ratified when workers vote on Sunday. It was not immediately clear when the deadline would be set for FCA. A Unifor spokeswoman said the deadline will be set depending on the ratification of the GM deal and the date the union begins negotiating with FCA. Dias reiterated the union’s hard-line stance on securing new investments at Canadian plants. He has framed this round of negotiations with the Detroit 3 as pivotal to the future of auto manufacturing in Canada as companies increasingly turn toward Mexico and the southern U.S. for assembly and parts production. “We have one simple message for all the Detroit Three automakers: there will be no deal without commitments to new investments in Canada,” he said. The automaker said in an emailed statement, "FCA Canada is committed to working collaboratively with Unifor to develop an agreement that balances the needs of Unifor and our employees, while enhancing the Company’s competitiveness in Canada." Unifor represents about 9,750 workers at three FCA plants in Ontario: the Brampton assembly plant, which builds the Chrysler 300, Dodge Challenger and Dodge Charger; the Windsor assembly plant, which produces the Dodge Caravan and Chrysler Pacifica; and the Etobicoke casting plant, which makes aluminum die castings and pistons. 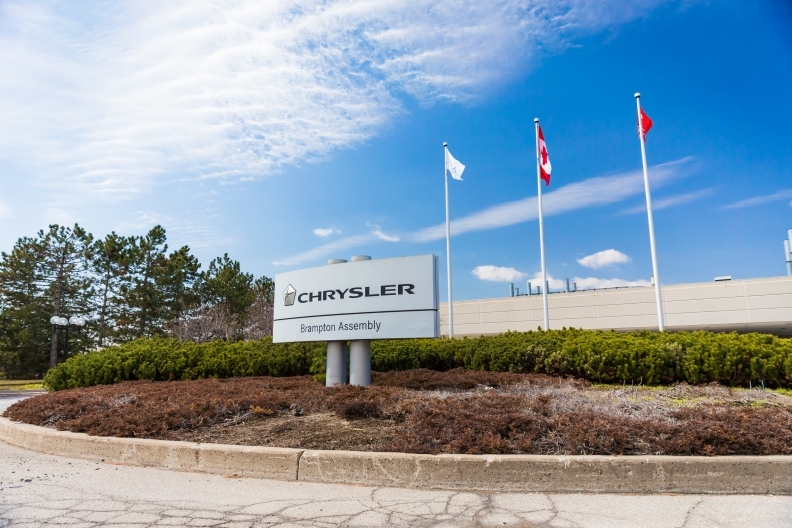 In an interview with Automotive News, Dias said he chose FCA over Ford Motor Co. because the Brampton plant is the one most in need of new investment between the two companies. Tony Faria, co-director of automotive and vehicle research at the University of Windsor, said he was “super surprised” Unifor selected FCA. Dias has repeatedly identified the Brampton plant as the factory most in need of investment. FCA CEO Sergio Marchionne made headlines this year when he suggested the 300 could be built on the same platform as the Pacifica, potentially allowing production to shift from Brampton to Windsor. Dias previously said he didn’t “take his comments, candidly, as a threat” to production at the plant, though he said the union will demand investment to ease concerns that some of the plant’s 3,550 workers might have. Negotiations over Brampton could center around its aging paint shop. Marchionne recently said the shop needs an upgrade, which could cost the automaker as much as $1 billion, Automotive News previously reported. Marchionne said FCA and the union would discuss “the significant investment that’s required to make [Brampton] competitive and current,” calling those issues “on the table” in negotiations. Negotiations with FCA follow significant investments in the Windsor plant over the last several years as FCA began production of the Pacifica minivan there. Dias said Ford and FCA executives have expressed concerns to him over the GM deal’s economic terms, which include a rise in wages for new hires. The tentative contract with GM, if ratified, will set the pattern for subsequent deals with Ford and FCA. Dias said both sides “know they have to get there” on economics in order for a deal to be reached, despite their concerns. The GM tentative deal reached Tuesday secured about $554 million in investments at the automaker’s Canadian factories, including at the beleaguered Oshawa, Ontario, assembly plant. GM reportedly will ship unfinished Chevrolet Silverado bodies to Oshawa for final assembly, in addition to continuing to build the Cadillac XTS and the Chevrolet Impala. While the plant’s consolidated line will close in 2017 as scheduled, Dias promised that no jobs would be lost under the agreement. The GM deal also includes investments and new production at the St. Catharines engine and propulsion plant, a defined-contribution pension plan for new hires and wage increases, among other provisions. Once negotiations with FCA conclude, Unifor will move on to Ford. Dias has repeatedly identified the automaker’s Windsor engine plants as in dire need of new products and investments. “We need an engine for Windsor, that’s for damn sure,” Dias told Automotive News on Wednesday. Faria said Unifor might be thinking that if GM and FCA agreed to deals, Ford will have to sign on to not only the financial terms of a new deal but also to new investment. “They cracked the toughest nuts in GM and FCA, how in the world is Ford going to object?” Faria said.